North Grenville Gift Guide & Giveaway! This holiday I wanted to showcase some of the local talent, products and activities that are available in North Grenville and Kemptville. These are products that I am looking forward to giving away and gifting to myself the Christmas season. Best of all I am helping local artisans and businesses in my community. I am focusing on three unique gifts for the 2015 holiday season. The first is Be Love Soap Works. Be Love Soapworks was born from a passion for creativity and a love of all things wholesome and handmade. Our products are made to be beautiful (sometimes in simplicity) as well as functional, a feast for the senses! Inspiration for our products is everywhere! In the ingredients used to make them, pop culture, the world around us! Our hope is that each time a customer uses one of our products, they can feel the love that went into making it! The best selling products are the All Vegetable Handmade Soap, Foaming Sugar Scrub and mini Bath Bombs. Most of the Be Love Soapworks are made via word of mouth, through the Kemptville Kinsmen Farmer’s Market or through the FB page. Things sell out fast! During the holiday season, Be Love Soapworks will be offering a draw to all customers who order during the holiday season. Spend 20$ or more and have your name put in a draw for a basket of Be Love goodies! approx 20$ value. I have purchased several of the All Vegetable Handmade Soaps for the educators, coaches and as hostess gifts. One word of caution, Julie’s products sell out fast! I missed her fantastic pumpkin spice soaps this past Thanksgiving! My second local artist is Vandertillaart Clothing. Vandentillaart Clothing is a Canadian ready-to-wear women’s clothing collection. It is designed and created with style, comfort and versatility. Fabrics are hand selected from Montreal and Vancouver to bring you some of the most exclusive prints and environmentally healthy fabrics. It is through passion, commitment, and attention to detail that brings the design to you season after season. The cross front sweater has been a best seller among so many women of all ages and sizes. It has also been increasingly popular amongst pregnant and nursing moms for its functionality and appealing look. You can find Vandertillaart Clothing on Facebook, Instagram and on Twitter . As my family does not often read my blog, I feel very comfortable saying that my niece, sister and Mom are going to be receiving stunning cross front sweaters this Christmas. 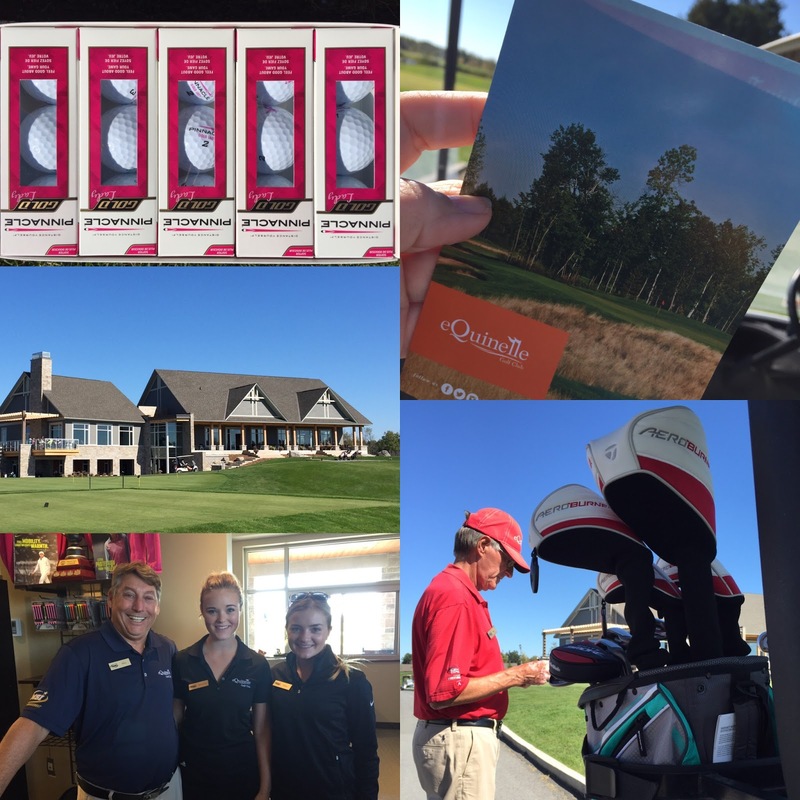 My last local gift suggestion comes from eQuinelle Golf Course located in Kemptville. I had the opportunity to spend a day at eQuinelle earlier this fall. I was out of practice but I quickly remembered how much I loved being on the course & hitting the ball off the pin with a beautiful set of TaylorMade clubs. All purchases can be made by calling the course and speaking to my friend, Katharine, the General Manager. Or, you can send her an email at kvollett@tmsiottawa.com. I cannot wait to get back onto the golf course this spring. I am gifting myself a Flex pack, so that every time I want to hit the links I will be receiving the best price on green fees. I am giving away a 4 pack of Be Love Soap Works to one of my readers. Please leave a comment and let me know what is your local go to shop for Christmas gifts? I will randomly chose a winner on Wednesday, December 15th and mailed to the winner’s home.